ISLAMABAD: The apparent failure of the state to provide quality education caught attention of the Supreme Court that asked the federal and provincial governments on Tuesday to come up with facts about fulfilling the constitutional obligation in the education sector. “Attorney General Anwar Mansoor as well as advocate generals for the provincial governments should appear before the court on Monday with complete data along with information regarding fulfilment of the obligation under Article 25-A of the Constitution,” said Chief Justice of Pakistan Asif Saeed Khosa while heading a three-judge bench. Article 25-A deals with the right to education and obligates the state to provide ‘free’ and ‘compulsory’ education to all children of the age between five and 16 years in such a manner as may be determined by the law. The bench that had taken up a set of cases relating to education and fee increase by private educational institutions also dropped hints that the matter would be heard on a day to day basis from next Monday. Earlier, the Supreme Court in its Dec 13, 2018 decision had ordered private schools to slash fee in excess of Rs5,000 by 20 per cent. The apex court had also highlighted the need of developing a mechanism to counter resistance on the part of private schools to undermine regulatory steps explaining that such resistance shown by the private schools include reduction of facilities in schools, increase in number of students in classes, reduction of teaching staff, reduction in their salaries and other related matters. Citing his own example, Chief Justice Asif Khosa recalled how he went to a government school and then to a government college and though he continued his educational pursuits at the Cambridge University and the Lincoln’s Inn, he never experienced any disadvantage of being educated at government schools because the quality of education was good then. “Earlier, we used to see government schools almost in every street or locality, but now no such educational institutions are in sight,” he regretted. Justice Khosa said sheer talent was being wasted merely because parents could not afford to pay high fee of the private schools whereas the state did not seem serious about fulfilling its constitutional obligation of providing quality education. “Hapless people have no choice but to send their children to madressahs,” the chief justice observed, adding that people would get choice if the state provided uniform education with free textbooks. Justice Khosa was of the opinion that the issue of excessive fee by private schools was there only because people had no choice. Instead of laying emphasis upon the state to enhance facilities at government schools along with good quality education, private schools were being asked to cut fee, he observed. Justice Faisal Arab said past experience showed that by putting curbs and restrictions on the industry, industrial growth was hampered hugely in Pakistan. However, Justice Ijaz-ul-Ahsan said private institutions could not be given a free hand. He observed that it was the fundamental right of children to get education. According to the CJP, the fundamental problem is that the state is coming up with an argument that they have failed on account of fulfilling their constitutional obligation but they will not allow private institutions to enhance school fee. 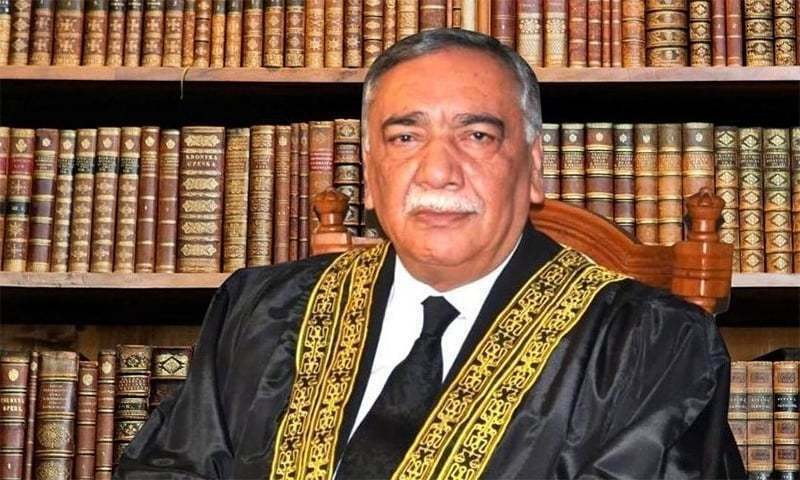 “The state itself is forcing people to opt for private educational institutions and at the same time also pressurising the institutions not to charge much,” Justice Khosa observed, adding that the state should be asked what had been done to fulfil the constitutional obligation. He wondered how the government could cap the private facilities. Private schools unnecessarily charged exorbitant fee. We hail the ex Chief Justice for noticing the matter. Atleast many parents can heave a sigh of relief now. Although education is a fundamental right, private education is surely not a fundamental right nor is its provision the responsibility of private schools. Private schools, usually, are for profit just like any other private business. The Court can fix the blunder the previous CJP made by not forcing needless tuition cuts and destroying yet another industry that is actually delivering. Very logical, relevant and fundamentally important question raised by the honourable chief justice Khosa. Many a problems that Pakistan is facing today would get solved if the state only ensure fundamental rights to the people as enshrined in the Constitution. People's reps in the parliament, unfortunately, work only to ensure rights and privileges to themselves. The private schools must not be allowed to profit on the basic need of the people, private schools are charging the people, people money is involved in it hence it is the responsibility of the state to protect the rights of the people and private schools are not aliens to become out of bound for Government, if they want to be come out of bound they should pack up and give the administration to Government. Now is the time govt pay attention to reforming the Madressa where poor segments of the society send their kinds for Deeni Taleem. The govt funding along with private donations will help relieve burden of fees on the parents who cannot affor private schools fee. Previously schools use to get free lands for education. No more, therefore the cost of education will be high. Delivering speedy justice through efficient legal structure should be the focus of high courts and supreme court. All other things will fall into place and there will be no need for sumoto actions. A great step from the CJP- Yes Education and Health must have equal right to each citizen. In the civilized society States have responsibility to equally provide these to each citizen. But unfortunately both are become the glorious businesses in Pakistan. @APJ, "The Court can fix the blunder the previous CJP made by not forcing needless tuition cuts and destroying yet another industry that is actually delivering." Although I agree that forcing tuition cuts is unnecessary exercise, there is need to regulate private schools as other business organizations, because they are primarily businesses run by public funding. The emphasis on public education is however absolutely vital. The current public education system cannot provide education to 80% of the population. Not because it doesn't have the means, but simply because it is not the policy. This policy has to be forced, come what may. Church schools discriminate against Muslim students by charging a higher fees. This must be stopped. I think the CJP and NAB should run the country. Wonder what the power that is "established" feels about this? Right to free education to every child is recognized all over democratic society! But in Pakistan it has become a business run by parasites i.e.. private schools owners. Govt must nationalize all private educational.institution and arrange quality education at least up to secondary level. Our system of education.needs drastic changes and complete overhauling in terms of selection.of teacher and criteria of appointment that must be based on.merit..